In the week immediately after March 11, 2011 — when a magnitude 9.0 earthquake and tsunami hit Tohoku and crippled the Fukushima No. 1 nuclear power plant — most Japanese were closely watching TV news programs — amazed that a nuclear crisis was now threatening their lives. It didn’t take long for people to start feeling unsure about whether they could trust what the government, Tokyo Electric Power Co. (the operator of the plant), and the scientists appearing on TV were saying — because they kept on stressing that the radiation released from the reactors did not pose an immediate threat to the public’s health. After a few weeks, it turned out that radiation contamination had actually been spreading through Fukushima and even to the Kanto region, and those who were potentially facing a risk to their health from this invisible menace lost confidence in what was being said in TV news reports. 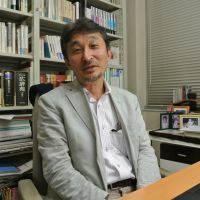 Mamoru Ito, author of “Terebi wa Genpatsu Jiko wo Do Tsutaetanoka” (“How TV Reported the Nuclear Accident”) and Professor of Media & Cultural Studies at Waseda University in Tokyo, suggests that though TV stations had sent hundreds of reporters to disaster-hit areas, including Fukushima, and had TV crews covering the government and Tepco 24-hours a day, their news almost always repeated the official line, of which the public were growing suspicious. Between March 11 and March 17, 2011, Ito recorded most Japanese TV news reports on the Fukushima nuclear crisis. 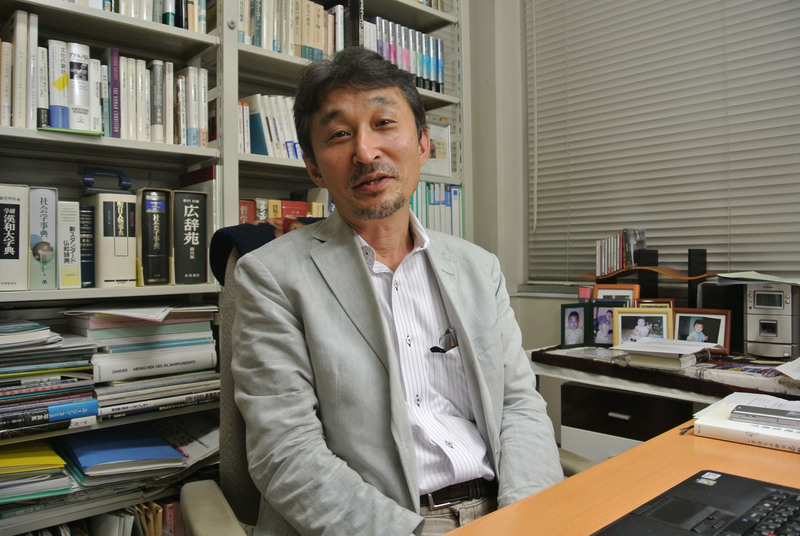 With cooperation from a researcher at another university, Ito compared all the news programs on the disaster from key the TV stations — NHK, Fuji TV, TBS, TV Asahi and Nippon Television — and published a book on his findings. In the book — which was published in March this year and has so far sold 15,000 copies — Ito pointed out that among the TV stations he looked at, only NHK has a science section. But still, the public broadcaster did not report the crisis thoroughly, Ito said, as reporters and producers at NHK news only covered what the government and Tepco were saying, and they, in turn, had failed to discover the meltdown of the reactor cores that led to the release of a tremendous amount of radioactive material into the air. “Despite such an enormously dangerous situation, NHK consistently failed in reporting the real crisis,” Ito said. In his book, Ito wrote that at around 7:40 p.m. on March 11, the TV stations live-broadcasted the news conference given by Chief Cabinet Secretary Yukio Edano, who explained that the reactors at the Fukushima plant had to be cooled and that the government had declared a state of atomic power emergency. “What do you think of this situation?” Taketa asked Yamazaki. On the other hand, Fuji TV broadcasted its news program on the accident at 8:07 p.m. and aired a comment on the possibility of a meltdown of the reactor cores by physicist Yuko Fujita, former associate professor at Keio University. Ito said that Fujita was the only expert who forecast the meltdown on TV on March 11. But after that, Fujita was no longer invited to discuss the issue on Fuji TV. “I speculate that it was because the station management thought Fujita spoke too much on the danger of the nuclear accident,” Ito said. On March 12, an explosion did occur at 3:36 p.m. at the No.1 reactor, which destroyed the walls and roof of the reactor housing. By the morning of March 13, the amount of radiation had reached around 1,000 times normal inside the control room at the plant. On the day, Chief Cabinet Secretary Edano said another reactor, No. 3, might also have overheated but denied it was in a state of meltdown. Tepco began injecting fresh water into the No.3 reactor, and then cooperated with Self Defense Forces, pouring seawater into the reactor. “Although some people were injured and the reactor building was destroyed, the containment vessel is keeping radioactive materials inside. While (Tepco) cannot use the reactor anymore, I think it is wonderful that (Tepco and SDF) could maintain a safe level (of radiation),” Morokuzu said. Yet, Ito said that Morokuzu’s comment was irrelevant. Ito maintains that experts on TV should have had the responsibility of forecasting the worst-case scenario and commenting on how to cope with it. In terms of the opinions of people at the TV stations, Ito said that there were reporters and producers who opposed the broadcasting of the official line, according to his research. “However, the power of (TV station) staff who emphasized the safety of nuclear power was overwhelming,” he said. While TV stations were unable to inform the seriousness of the disaster, Ito argues that alternative media on the Internet succeeded, to some extent, in reporting useful information related to the accident. For example, the Independent Web Journal, a video streaming site established by freelance journalist Yasumi Iwakami, broadcasted the news conference at the Citizens’ Nuclear Information Center on March 12. CNIC is the only citizen’s organization specializing in nuclear safety issues. At the conference, Chihiro Kamisawa, a CNIC expert, referred to the government’s radiation data and the evacuation order, explaining that he assumed it was based on the forecast that people in the 10-km-radius would be exposed to 20 to 50 times the radiation limit for normal people in one year, which is 1 millisievert (on top of the 2.4 mSv annually the average person receives from natural sources). Following Kamisawa, Masayoshi Goto, a former engineer at Toshiba and designer of the containment vessels at the Fukushima plant, said that the reactors’ cores were apparently melting and the temperature of the suppression pool in the containment vessels were probably reaching 100 C, which meant the possible breakdown of the pool. The suppression pool did actually break at 1:50 a.m. on March 12, though it was not made public until one year later. Another fact that increased distrust of the government and TV news programs was the unreleased System for Prediction of Environmental Emergency Dose Information (SPEEDI) data. According to Ito, only TV Asahi briefly referred to the computerized system for projecting how radioactive materials disperse in March. Ito interviewed NHK staff about SPEEDI and found out that NHK had known about the simulation system since March 12 but it never mentioned it on air in March. In order not to repeat such failure, Ito urges TV stations to investigate their own reporting of the Fukushima disaster. To improve TV coverage on the ongoing crisis, Ito said that TV stations, the central and local governments and scientists should create a networked system in which they can share information and data on radiation immediately. TV stations must also cooperate with citizens’ groups and alternative media on the Internet as well as broadcast videos taken by freelance journalists and citizens, he said. While public access to TV broadcasting is limited in Japan, an increasing number of people have learned how to take videos and upload them on the Internet, and those videos should then be broadcast on TV, Ito said, adding that people’s participation in news coverage on mass media is called “public access” (broadcasting).